Don't worry - the band will be back in a minute. SampleRadar is stepping away from both the dancefloor and the mosh pit this week, and into the smoky depths of the jazz club (actually, smoking's now banned in public places so let's make that the non-smoky depths). And even if you don't make straight-up jazz, the loops and riffs on offer here may still be useful for adding a touch of sophistication to your productions. The samples are supplied in four construction kits, each of which is tempo-labelled. Inside the main folder for each of these you'll find drums, guitar, bass and keys samples. 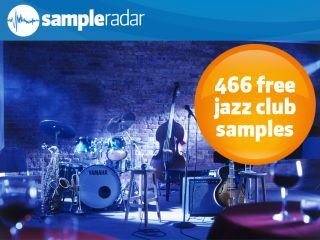 The jazz club samples are supplied in a zip file, so you'll need to extract them before you can see them. Enjoy!